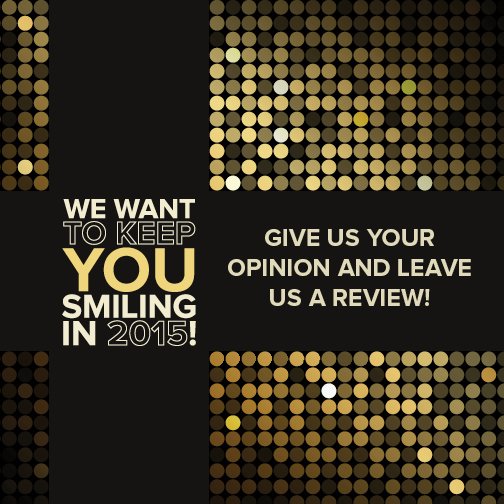 We Want To Keep You Smiling For All Of 2015! We are so very grateful for our patients! As spring comes even closer, we wanted to take the opportunity to tell you how much we appreciate your continued trust in Heavenly Smiles for your dental care. Dr. Martin, and our entire staff hope you receive only the best care from us during your visits. We want to go above and beyond to provide you with the comforts, technology, and skilled expertise you deserve from a dental team. We rely on and appreciate honest feedback from our patients. Reviews from patients like you help us to recognize where we can adjust to serve you better. Additionally, your feedback helps others in our community looking for a Lynnwood dentist! We read our reviews regularly and appreciate the opportunity to continue to offer you the best possible care! Again, thank you so much for your continued trust in Dr. Martin and Heavenly Smiles for your dental care. We look forward to serving you for the rest of the year!